Perhaps the easiest thing to do is explain it, currently you can’t get an exemption from Ulsterbank or AIB/EBS/Haven or BOI, but you can from PTsb and KBC. The banks that can’t give you one (and remember it’s only one of LTV or LTI not both) are hogtied because they have given the limit of exemptions (c. 15%-20% of lending) already in loan offers and they have to estimate both the annual and quarterly effects. This doesn’t mean the loans actually draw down, so you could get a person who has an exemption, doesn’t use it and they effectively block another person from getting one. Research has shown that 90% was always the most popular loan amount with first time buyers, this hasn’t changed to extent that we can see the first time buyer market, so one side effect is definitely that of keeping first time buyers out of the market. That doesn’t mean that properties don’t sell, it just means somebody else buys them, meanwhile rents are rising. Ideology of whether macroprudential rules like this are good or bad, the actual implementation is a disaster because banks are ill equipped to figure out (and to be honest you can’t ever really know) which offers will draw down or not and this means we are going through periods of loan drought in a market where lending is not anywhere near being up to speed. 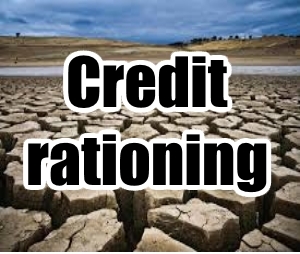 Worse yet, it’s credit rationing on an impromptu quarterly basis which means you can’t prepare for what you do or don’t qualify for, so our message is now clear, if you need more than 80% or 3.5 times income, get your application in at the end of September so you can get an October (Q4) exemption. We have seen several cases where near identical (in terms of earnings) applications are being told ‘yes’ one week, and the other ‘no’ the next, not because of the applicant, but because of the rules that have been imposed and how they operate. This is unfair, it creates random approvals. Somehow we have managed to create the 1970’s all over again, where people queued and timed their mortgage application because the Building Societies didn’t have the money, now they do have the money they are just not allowed to lend it!